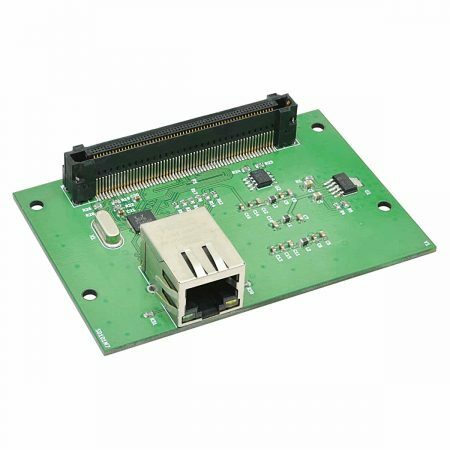 The FMCETHX001 Ethernet Expansion Module features RTL8211E-VB-CG which is a highly integrated Ethernet transceiver that complies with 10Base-T, 100Base-TX, and 1000Base-T IEEE 802.3 standards. 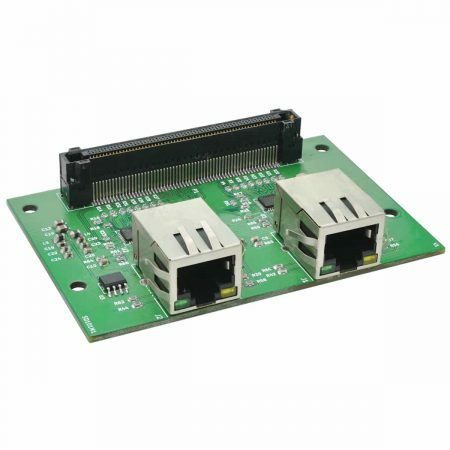 It provides all the necessary physical layer functions to transmit and receive Ethernet packets over CAT 5 UTP cable or CAT 3 UTP (10Mbps only) cable. 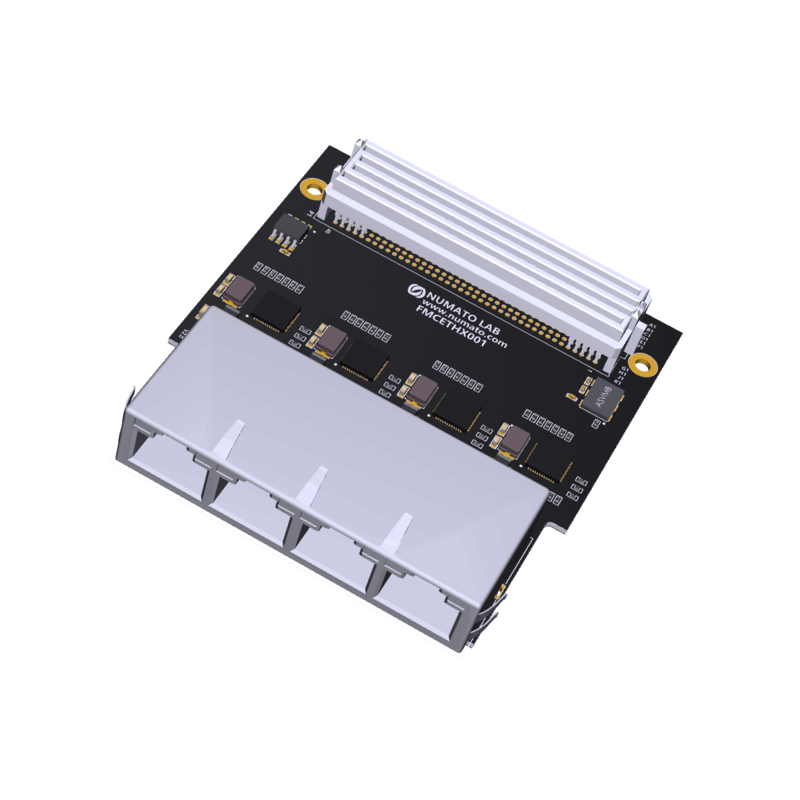 The RTL8211E-VB-CG uses state-of-the-art DSP technology and an Analog Front End (AFE) to enable high-speed data transmission and reception over UTP cable. 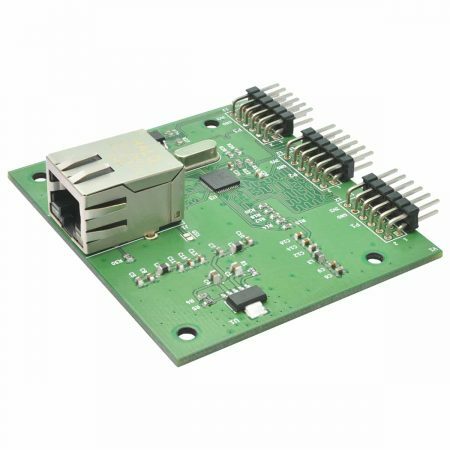 Functions such as Crossover Detection & Auto-Correction, polarity correction, adaptive equalization, cross-talk cancellation, echo cancellation, timing recovery, and error correction are implemented in the RTL8211E-VB-CG to provide robust transmission and reception capabilities at 10Mbps, 100Mbps, or 1000Mbps. 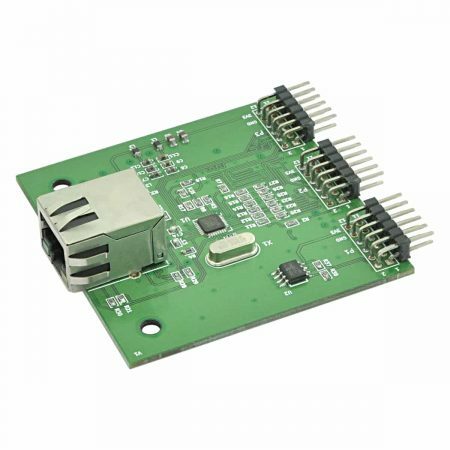 Data transfer between MAC and PHY is via the Reduced Gigabit Media Independent Interface (RGMII) for 1000Base-T, 10Base-T, and 100Base-TX.